For Romance is the epitome of a model sire stemming from a very successful Voltaire dam line. 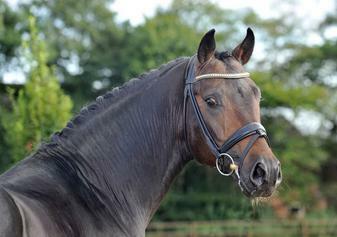 Blessed with three excellent gaits, his canter and trot are exceptional, and his character is also remarkable. 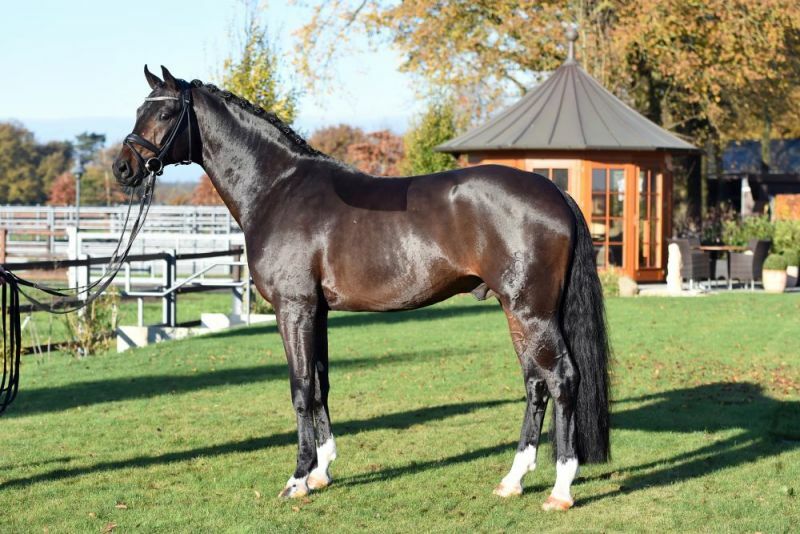 He stood out brilliantly in a strong lot of stallions at the 2011 Oldenburg licensing, and the enthusiastic spectators in Vechta gave him standing ovations. As expected, For Romance won his 30-day test in Schlieckau with super scores. 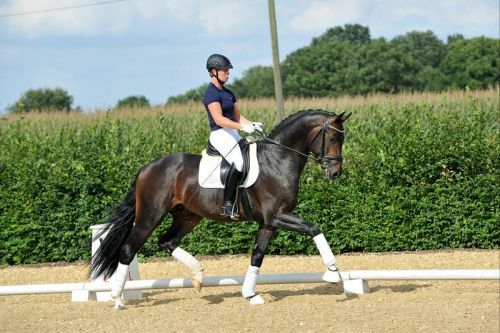 He received a 9.25 for his trot and rideability, a 9.0 for his canter, and an 8.88 for character. In the third generation of For Romance's pedigree, you'll find Don Schufro who took the Danish Champion title and won team bronze at the 2008 Olympic Games in Hong Kong under Andreas Helgstrand of Denmark. He is also the sire of many champions. For Romance's sire, Fürst Romancier, was licensed in 2007 and made headlines just two years later when he took fourth place in the World Championships for young dressage horses in the class for five year olds and also fourth place at the Bundeschampionate in Warendorf. Matthias Alexander Rath has since taken over Fürst Romancier's training. 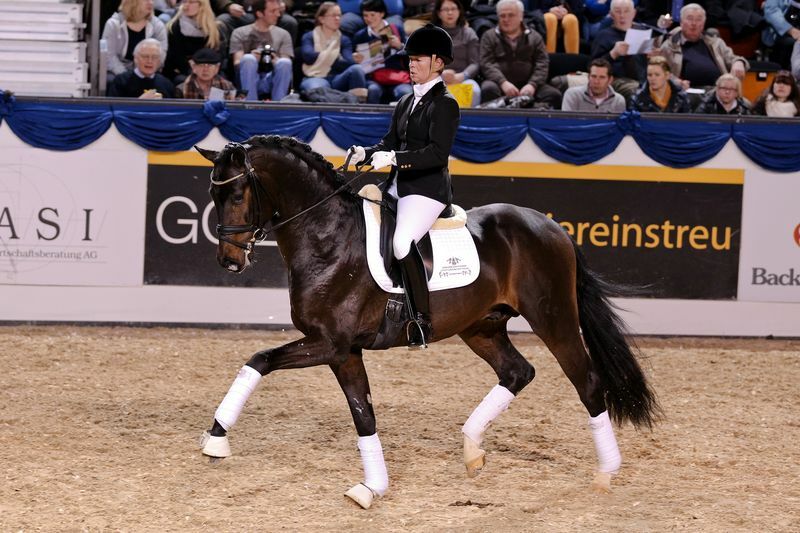 In 2012, For Romance's full sister, Fasine, took the Oldenburg Champion Mare title – a feat that is so far unique in the history of the Oldenburg Verband. For Romance's dam's sire, Sir Donnerhall I, gained trademark status early on in his career. He was the 2nd Reserve Champion at his licensing, State Champion, the record-breaking winner of his stallion performance test, Vice World Champion of young dressage horses and Bundeschampion as well as the main premium winner of stallions with emphasis on dressage. More than 50 of his sons have been licensed. 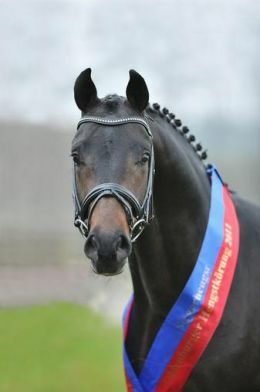 In 2010, three of his progeny took Vice Bundeschampion titles in Warendorf: Silbermond – the NRW Champion Stallion, Appassionata and the licensed Snap Shot. He has also sired numerous top auction horses.